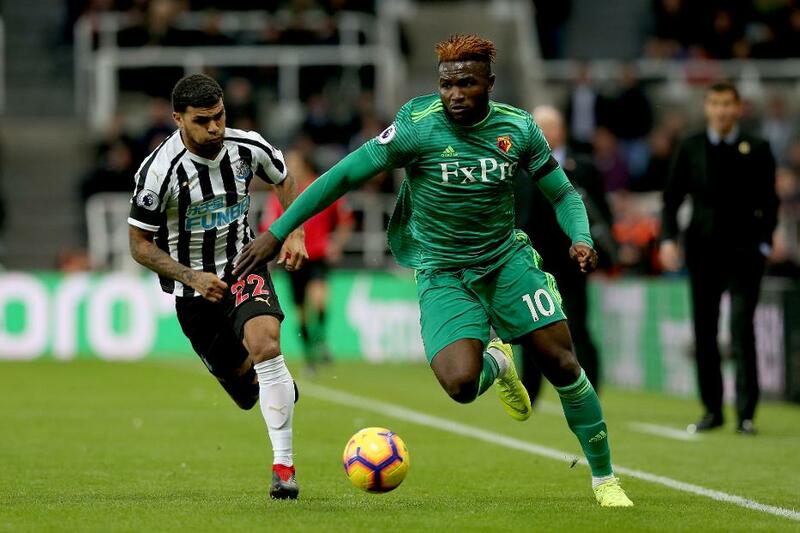 The Watford forward is owned by only 3.4 per cent of FPL managers for his trip to Southampton. Success has started each of their last three matches, with fellow striker Troy Deeney (£5.9m) sidelined through injury. The 22-year-old has impressed for the Hornets, scoring once in a 3-0 home win over Huddersfield Town in Gameweek 10. And his underlying statistics over the last two Gameweeks highlight Success' all-round contribution. No FPL forward has bettered his six chances created, while his seven shots on goal rank joint-sixth among strikers along with Sergio Aguero (£11.4m). This suggests Success will pose a big threat to the Saints’ defence on Saturday. Southampton have been far from convincing in defence this season. They have conceded at least two goals in seven of the first 11 Gameweeks and welcome Watford on the back of a 6-1 defeat at Manchester City. At such a low cost, Success can provide major value for FPL managers this weekend.